When you're looking for a cat that is highly adaptable but still unique, the American Wirehair is a great choice. 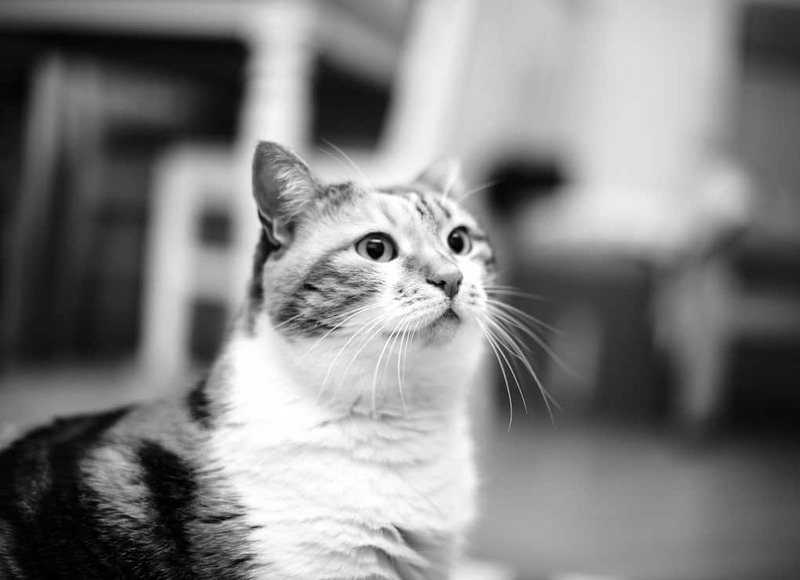 This is a cat with an amiable personality and an ideal balance between affectionate and independent. Here, we're diving into a closer look at this fantastic breed. Continue on, and you can gain an idea about how well an American Wirehair might fit into your home. How much does a American Wirehair Cat cost? 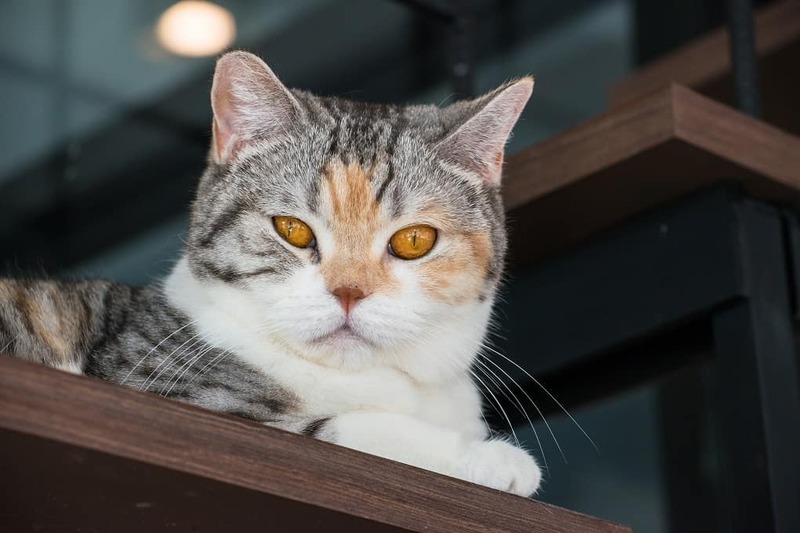 Similar to the American Shorthair, these cats are quite affectionate, playful and able to adapt to a variety of family situations. They are gentle, but also energetic. Because of that, this is a breed that can relax with older family members or play with those who are younger. As a social cat, this is one who will happily live with a single person or a family. They have an easy time with other cat-friendly pets as well as children. Furthermore, they’re a quiet companion who will often be interested in what you're doing, but without yowling at you for constant attention. For thousands of years, cats have been hunting pests and snuggling up in our laps. They make for fantastic household companions and some are even willing to journey along with us outside. It's hard to feel down with one of these adorable critters nearby. Like some other breeds out there, the American Wirehair appeared due to a random mutation. In 1960s New York, the first member of this breed was born unexpectedly. Upon breeding the cat, more kittens with the unique wirehair fur were born, taking the trait from a single random mutation into a complete breed. 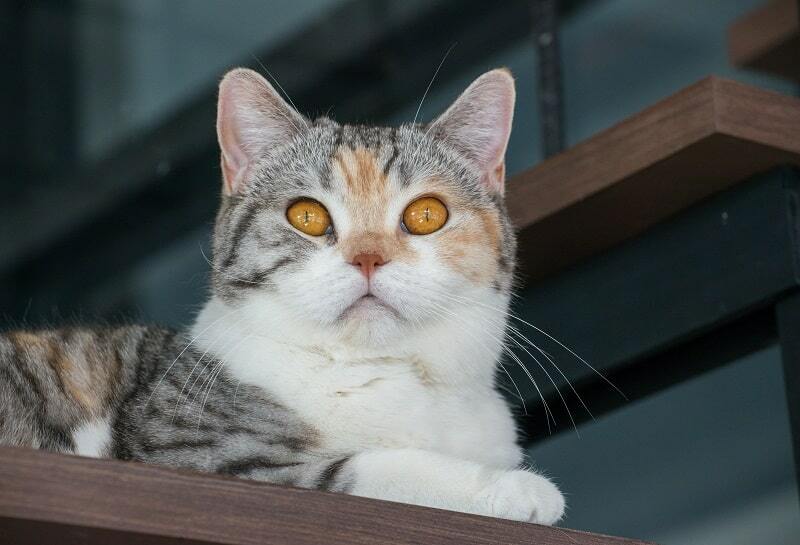 For the most part, this breed is seen to be much like the American Shorthair. Both breeds have similar personalities and looks, but are set apart by the wiry fur adopted by the American Wirehair. Due to this unique, springy coat, it only makes sense that the breed has continued to grow in popularity. There aren't many health issues that the American Wirehair can be prone to, but it does have a risk of developing hypertrophic cardiomyopathy. Because of this, it's going to be important to make sure any cat you adopt has a clean bill of health. The only real complication that is associated with this breed lies within the coat. Due to the unique breeding, it can sometimes become greasy. As a result, you may find that you need to bathe these cats more often than other breeds. As mentioned earlier, you'll want to ensure that any cat you adopt has been checked out for signs of hypertrophic cardiomyopathy. This may not guarantee that the cat will never develop it, but it's a good place to start in making sure your cat has a healthy life. Most cats will benefit from at least a weekly brushing, but that isn't quite true for the American Wirehair. The coats on these cats can actually damage the fur. Because of this, it's best to leave it be unless the cat is going through a particularly heavy period of shedding. As a medium-sized cat, the American Wirehair tends to stand at around 10 inches to 14 inches tall. That said, they may reach slightly higher or lower heights if they have been mixed with other breeds. These cats typically weigh in somewhere between 8 lbs. to 13 lbs., depending on the cat. What is most important is that each cat is at a healthy weight, matching whatever their general size is. Avoiding obesity can also keep your cat from dealing with many illnesses as they age. The American Wirehair is a medium-sized cat, so you won't have to worry about them getting too large. You can expect about an average level of activeness from this breed. They enjoy chasing around laser pointers or toy mice, and many also love spending time in the laps of their owners. The American Wirehair is not a hypoallergenic cat, as there is really no such thing. However, some may find that they react less to this breed due to their unique coat. American Wirehair cats are capable of living anywhere from 7 to 12 years, though each individual cat can experience a greater or lesser lifespan depending on their health and the care given to them. Overall, these cats are quite easy to care for. Just make sure to provide the basics and assist them with baths or brushing when needed, and they're likely to be happy and healthy. It's always a good idea to check out local shelters first, especially if you're just looking for a pet. For those seeking show cats, or who are adamant about having a certain breed, it's worthwhile to consider quality breeders. Make sure that any breeder has paperwork and maintains high standards when it comes to health, cleanliness and socialization of their animals. Due to the potential health concerns, it's also a good idea to make sure you can get medical paperwork on any cat or kitten you are considering bringing home. That way, you can be assured that they are healthy, and that they come from a healthy family line. The price of an American Wirehair can really depend on where you choose to adopt from. Most animal shelters are known for providing lower costs for cats that are fixed and have received shots and checkups. Second to that, these cats can cost upwards of $800 when they are purchased from a breeder. While you're looking, make sure to do thorough research and consider what you are looking for. With such a wide variety of colors, patterns and personalities, it's a good idea to give yourself options when it comes to adopting a Wirehair. Get to know different cats or litters, depending on what you're able to find. In many cases, it's quite possible that the right cat will choose you. For the most part, American Wirehair cats don't require much more than other breeds. Aside from remembering to avoid over-brushing them and to give them baths when they get too greasy, you can expect about the same amount of care as most other breeds. The Wirehair isn't completely independent, though they don't have a lot of trouble with spending time by themselves. These cats also enjoy snuggling or playing with their family members. For the most part, they offer a pretty good balance between neediness and self-sufficiency. American Wirehair cats are social animals, enjoying the time they spend with other family members whether they are feline, humans or even canine. You'll also find that they aren't extremely talkative. This breed can come in a wide range of patterns, including options like solid, tri or bi-color, tabby and more. American Wirehairs are definitely a breed with many coat choices. If you're looking for a cat that isn't too needy, but does respond well to affection, then the American Wirehair can be a good choice. They don't typically have too much trouble entertaining themselves with toys, explorations or naps but will also happily rest in your lap from time to time. The American Wirehair is a friendly cat, who will happily live alongside humans, dogs and other cats as long as they aren't particularly troublesome. Because this is a breed also known to be patient, they can also be suitable companions for children. American Wirehair cats are rather intelligent, and enjoy learning tricks and playing with puzzle toys. They also love to be able to watch the smaller creatures outside. These are decently energetic cats. They may not be using your home as a race track, but they enjoy romping with other pets, playing with interactive toys and exploring all of the hidden spaces. The American Wirehair isn't a high-maintenance pet, aside from potentially having to bathe them a little more often than other breeds. The basics, like regular nail trimming, teeth brushing and ear cleanings will keep them in good shape. There aren't specific types of American Wirehairs, but they do come in different patterns and colors. With so much variety in their appearances, you're sure to find the ideal cat to fit perfectly into your home. There are a wide variety of colors these cats can come in, like blue, red, fawn, chinchilla and silver. You'll also find these cats in more standard color options like white, chestnut, brown and tortoiseshell. American Wirehair cats can come in solid colors as well as combinations of two or three colors in their pattern. In addition, you can find them in smoke, tabby and tortoiseshell. While the largest difference between this breed and others lies within their fur, the personality of each cat is going to be unique. Because of that, it's hard to say that the American Wirehair behaves differently from other breeds. Your best option is going to be to meet some members of the breed and learn for yourself how they behave. Overall, this is a breed that is easy to care for and quite versatile when it comes to the kinds of households they can fit into. Their unique, wiry fur sets them apart from other breeds and their personality is one that easily works with people of all ages as well as other pets. If you're looking for an easygoing cat, this breed is a great one to consider.